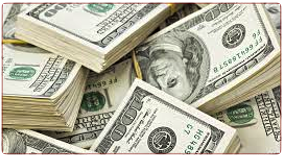 Septic Defender® Can Rescue Your Failing Septic System and Keep it running smoothly for a fraction the cost of the alternative. 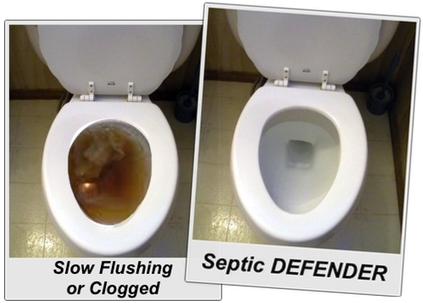 Septic Defender has proven through real trials, that it can blast through years of sludge buildup and Bio Mat. It can RESCUE a failing septic system faster than the other leading septic system treatments on the market. Our precision engineered, super-charged formula delivers your system a powerful blast of Fast Acting Bacteria and Enzymes. These super-strains of bacteria are designed to cut through the stubborn waste material that accumulates in plumbing and septic systems and drainage areas. Sludge, grease, bio-mat and waste is devoured, and your system is restored in astonishing speed. 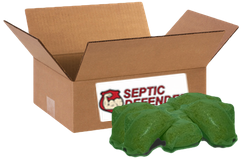 What do you get, when you order Septic Defender Septic Treatment? Your first delivery consists of 8 rescue shock packets. These are highly potent, engineered strains of bacteria that digest the blockage in your septic system and drainage area that cause backups, slow drains, and muddy sewage pools in your yard. The rescue shocks are flushed down the toilet. 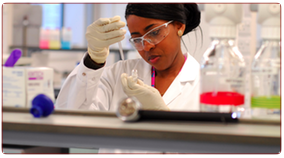 After the system has been fully rescued, the maintenance packs are administered in the same manner, once per month. 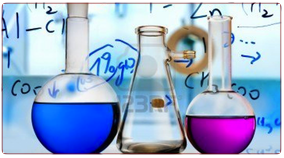 The lowest priced option of INDUSTRIAL level treatment on the market. 1. Rescue Shock Packets – These are the power-packed bacterial bombs that do the heavy lifting. If your septic system is currently failing, the rescue packs are what will blast through the material that is blocking your system. To administer a shock, you flush 4 packets down your toilets, and then in two weeks, you flush another 4 packets. 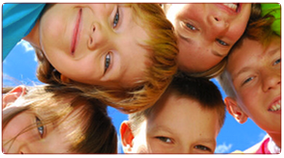 All 8 packets are included in any purchase of the rescue shock packs. This two-week treatment absolutely devours anything that is backing up your septic system, plumbing, and drainage area. 2. 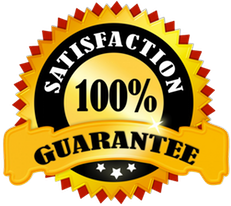 Maintenance Packets – These are the precision-engineered packets that contain the perfect bacterial strains for keeping your septic system flowing perfectly, after it is restored. These packets are flushed monthly down your toilets, and are guaranteed to prevent your system from returning to its previous failing state. You flush 2 per month, to keep your system crystal clear. All Septic Systems contain a drainage area. These can be leach fields, sand mounds, weeping fields, etc. They all will become clogged over time with undigested sewage waste. This can be caused by a number of things and is quite common in older systems. 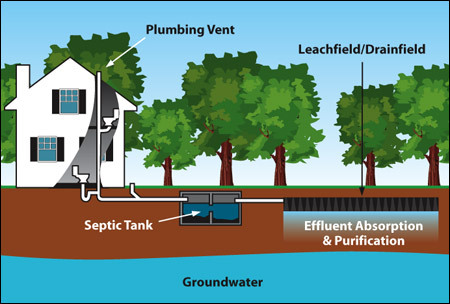 Your septic system uses naturally occurring bacteria and enzymes to digest and liquefy solid waste, paper, etc.Depending on the detergents, cleaning solutions and anti-bacterial soaps being used in your home, your septic system eventually stops digesting, or breaking down, the waste into a liquid, and therefore it cannot drain into your soil as it is designed. As your drainage area begins to back up, the performance of your system begins to slow until it eventually clogs and causes system failure. Septic Defender uses super-strains of bacteria to eat through this blockage, and get things flowing smoothly in the drainage area, AND within the plumbing before the drainage area. This is how Septic Defender rescues and gets your system working smoothly again. Not all bacteria are created equal. 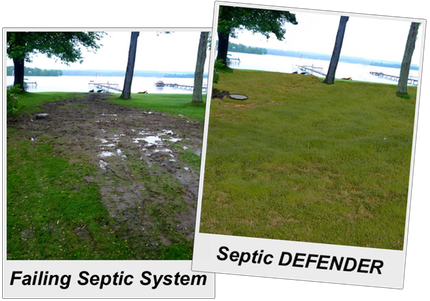 While bacteria in general behaves the same, the developers for the Septic Defender product bred a strain of bacteria and enzymes SPECIFICALLY for digesting problematic matter in septic systems. 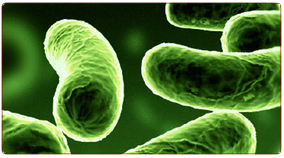 The bacterial strains in Septic Defender multiply by 400x or more within minutes of use. More importantly, however, they have been created to help endure many of the household cleaners like detergents and anti-bacterial soaps that cause many septic tanks to fail in the first place. The fantastic, ground breaking formula that resulted, puts Septic Defender atop the marketplace of septic system treatment and rescue products. 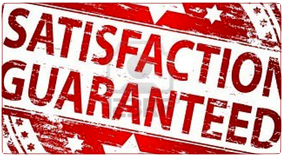 If the rock-solid reputation of Septic Defender, the amazing Scientific backing, and the incredible photo’s are not enough to make you feel 100% secure in ordering, we will go 1 step further:You are protected by our Satisfaction Guarantee, where if your septic system is not restored to its fully functional state, or if your system fails to improve, we will ship you ANOTHER Rescue Shock treatment (Value of $299) for FREE, and will continue to do so, until your system is functional. I am actually pretty surprised, as to how well this worked. I got the Rescue plan and within about 2 weeks my system went back to normal. We had a ton of guests for the holidays and all the extra flushing and showering and laundry had our whole yard flooded and gross. I was told by my neighbor that i'd have to replace my system. Thank goodness I found you. Within about a week my clogged up tank started to flow. Water/sewage levels dropped by a few feet. No more backups in the house. Got the monthly maintenance plan too. I had a pump out only a month ago, and my system was already showing signs of clogging again. Turns out it was the drain field that basically had just become so gunked up with slime that it no longer drained. Rather than replacing it, I tried this. In a matter of weeks things were back to normal and flowing nicely. Glad I didn't spring for the replacement system.